Polska: new Polish cooking, 256pp. I’ve visited several Eastern European countries, but Poland is still on my wish list. Luckily, we have a great Polish restaurant in Canberra, so I have been exposed to the cuisine, but never in the country. 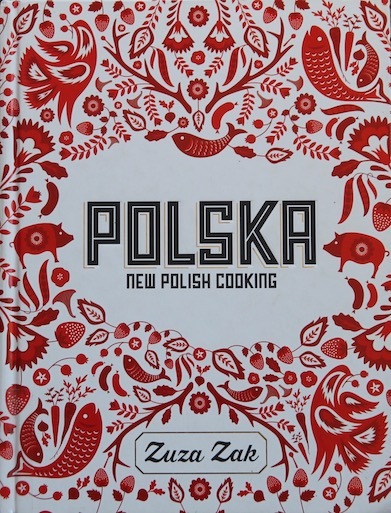 Zuza Zak opens her book with a chapter about the cuisine, dishes across the centuries, seasonal produce and popular ingredients in Polish cooking. 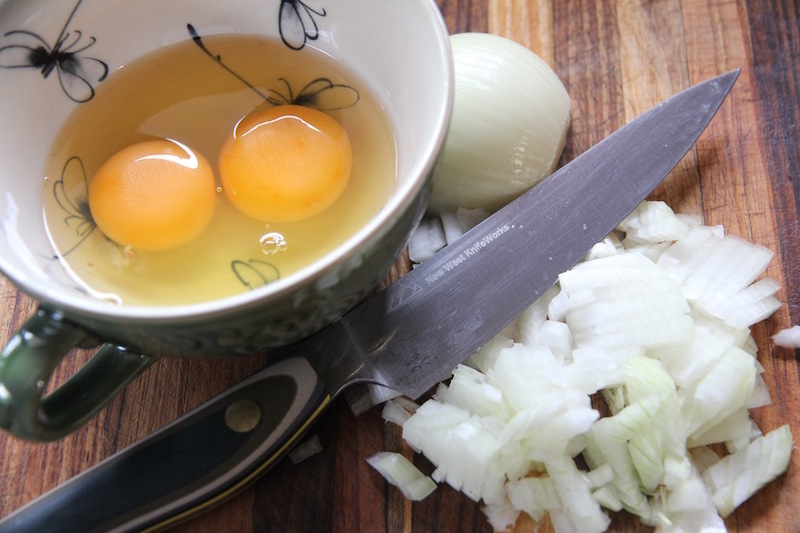 Page 32 has a common ingredients—eggs—and incorporates one of my other favourite ingredients—onions. 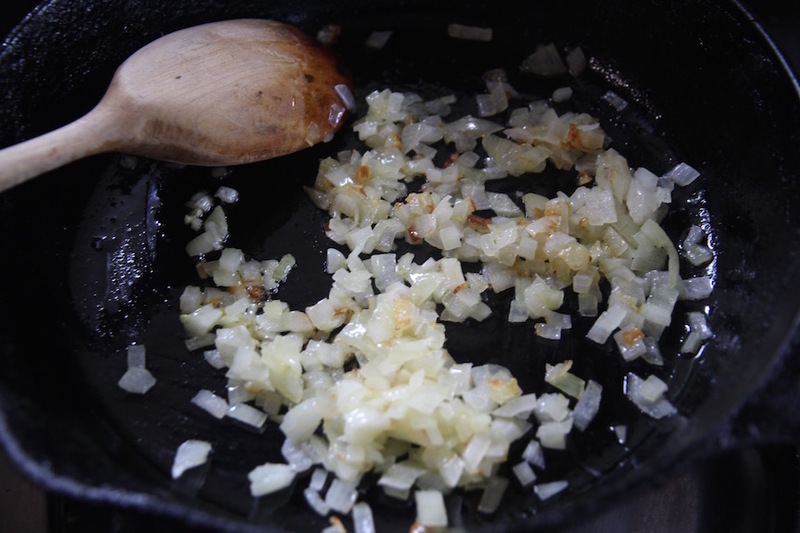 Melt the butter in a large frying pan (skillet) and add the chopped onion. Cover the pan and cook over the lowest possible heat for about 15 minutes. For the final 7–8 minutes remove the lid and stir occasionally, seasoning with salt and white pepper near the end of the frying time. The edges should crisp up slightly, but not char, as this will make your scrambled eggs taste bitter. Meanwhile, whisk the eggs with a splash of milk, a little bit of salt and a pinch of paprika. 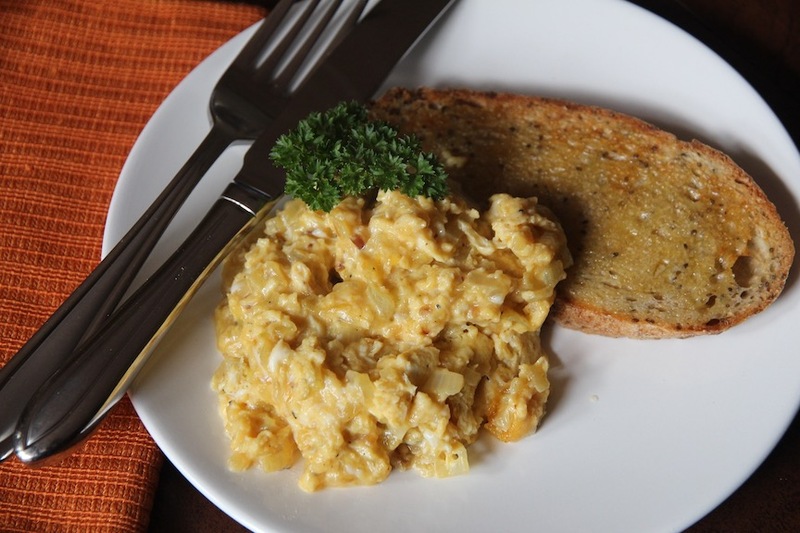 Finally, pour the eggs over the onion and fry over a low heat, stirring almost continuously for the final 3–4 minutes that it takes to get the scrambled eggs to the consistency you prefer. Serves 2. Poor John is an early riser and often has breakfast before I get up. So this morning, I made this just for me, using 2 eggs and half an onion. I shortened the cooking times just a little, and everything came together as the recipe described. Served with a toasted slice of my homemade wholemeal sourdough bread and a splash of parsley. I love eggs and onion and butter and milk and paprika, so it’s no surprise that I loved this recipe. While I savoured every bite, I was surprised by how much the sweetness of the onion came through. Lots more than any other onion recipe I have made. You can be sure I’ll make this again. If he’s lucky, I might even get up early and make it for Poor John too. Cooking is always part of our overland travels. We camp and take it in turns to cook. 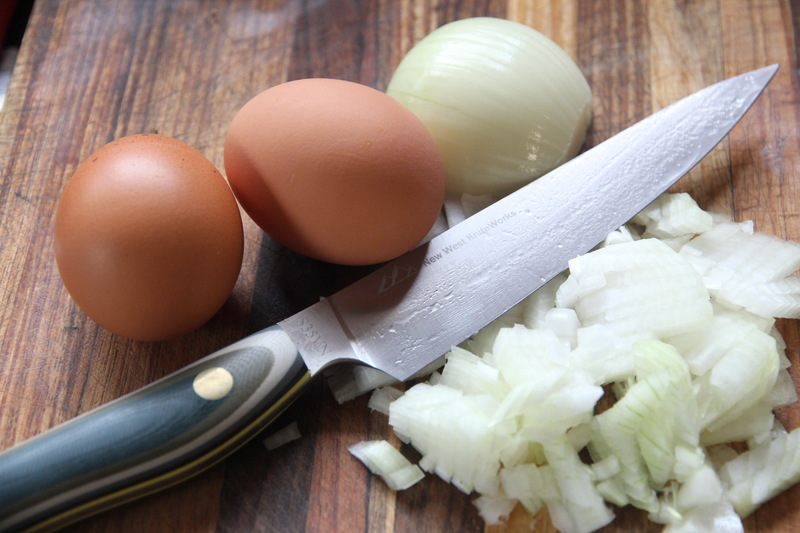 Onions, tomatoes, potatoes and eggs are the most common ingredients to be found. Here’s a link to a post about cook groups. Intrepid overland traveller, keen photographer, avid cook—known to jump out of airplanes and do other silly things. Do not act my age. This entry was posted in Breakfast, Eggs, Light meal and tagged butter, eggs, milk, onions, paprika, Poland, Polish food. Bookmark the permalink. The ingredients of common folk made tasty. This sounds like it would brilliant for a Sunday brunch, especially on a good sour dough. Do you have your own culture for your home made sour dough Peggy? I keep hoping to get one started one day, but so far haven’t got around to it. Hi Chris, I do have my own sourdough starter. Six or seven years ago, a friend gave me some of hers. But the article below might help you get started. The loaf recipe looks good too. Let me know if you get going and I’ll share links to some great recipes. Well that looks easy enough. Thank you Peggy. We’re off to NZ for a few weeks but will be sure to give this a go when we get back home. Look forward to hearing how it turns out. Happy travels. mmm. . . This recipe sounds perfect – easy to make and tasty. I really like onions, and think that I’d really enjoy this dish. We loved it. With the onions, I think it would work for breakfast, lunch or dinner. Pingback: Not all roads in West Africa are bumpy | Where to next?